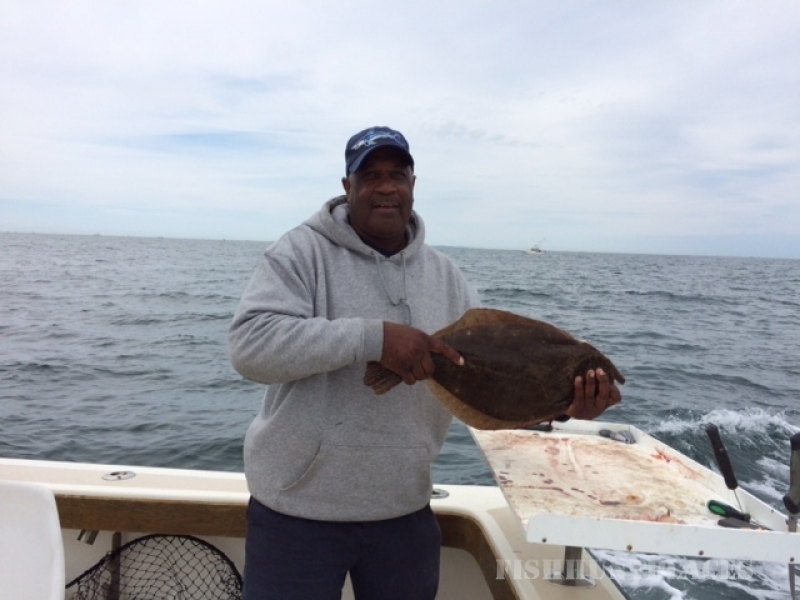 Captain Earl loves Tautog and Flounder fishing in RI. Earl started fishing in New York when he was a teenager. He went out on the head boats for about $5 a trip (wow). He then moved to Florida and spent many years fishing off the Atlantic coast in his 23' Chris Craft, travelling out to the edge of the continental shelf for Mahi Mahi, King Mackerel, Sailfish, Bonito, Snapper, and other Florida gamefish. When he moved to Rhode Island, the first thing he did was buy a boat for fishing. It was an old wood Bass boat with an inboard engine that was docked in Greenwich Cove on Narragansett Bay. Those were the days when GPS and other electronic devices just didn't exist, and you could only fish for bluefish and flounder due to regulations. 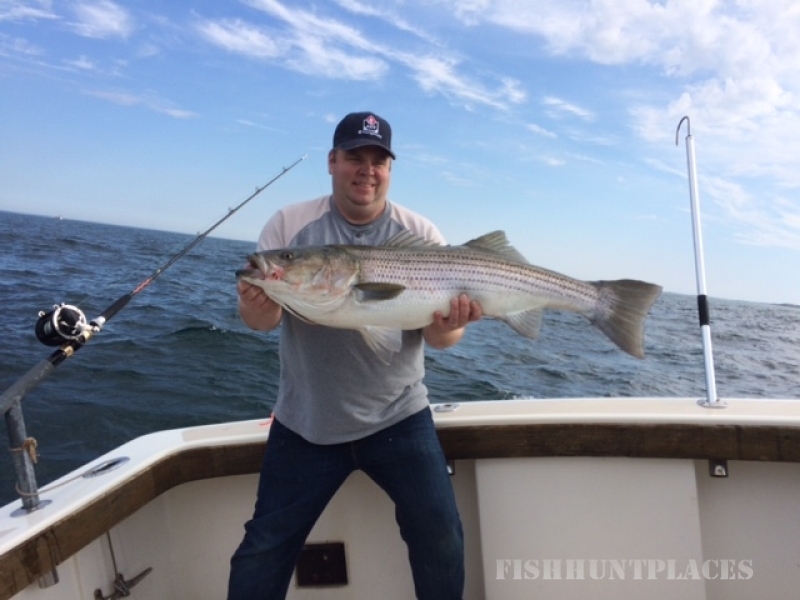 Now he enjoys fishing in Rhode Island for stripers, flounder, tautog, and other types of fish. 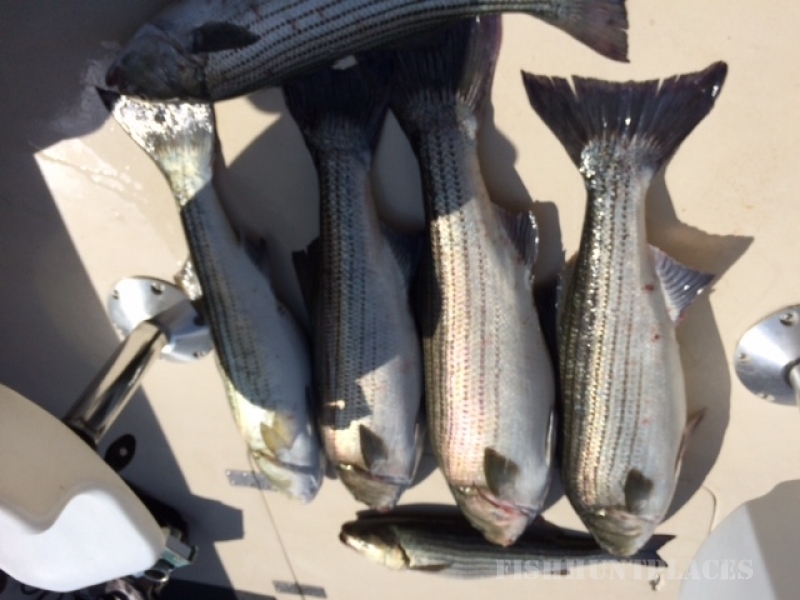 Captain Earl has been fishing in Rhode Island for over 30 years, at Block Island and on Narragansett Bay. 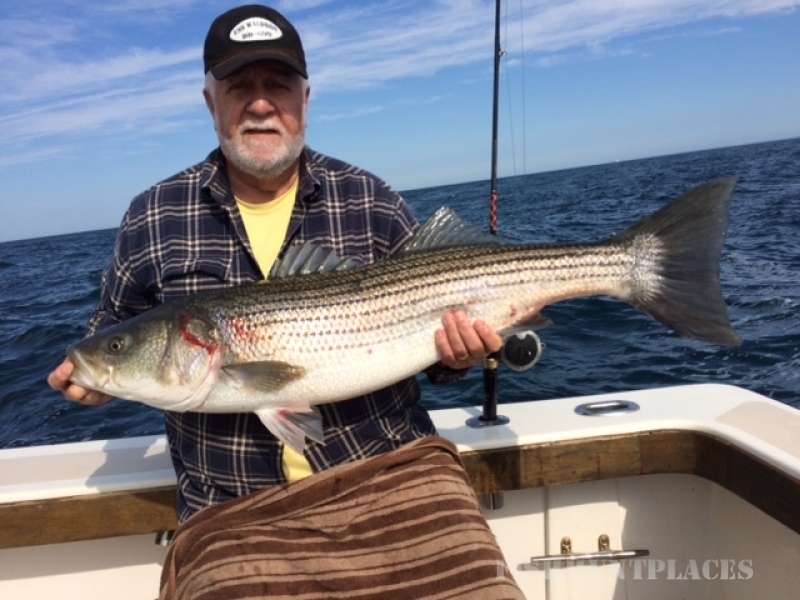 He prefers catching stripers with Topwater plugs at Block Island. Nothing beats seeing a big fish explode on a surface plug, with tail in the air, as the fish rolls trying to smash the plug.